Need to lose weight? Yoga for Weight Loss is the right way to reach your weight loss goals. Our participants have lost up to 9 inches in our 5-week program and countless pounds. In 2011, we are increasing our choices for weight loss plans. Now, clients can go for 5-weeks, 6-weeks, 7-weeks or 8-weeks. Our programs range from $199-$349. Participants can do yoga, Pilates, custom cardio, meal planning and cooking classes. For more info on locations and class schedules email ilovemytemple@gmail.com. Add Weight Loss in the Subject line to find out which program works for you. Consultations are free! In May 2010, Yoga for Weight Loss had its first adolescent participants. With the huge success of their weight loss and their growing love for yoga, we decided to have a program just for participants 12 & up.  For more info on locations and class schedules email ilovemytemple@gmail.com. Add Weight Loss in the Subject line. Consultations are free!